Worked with a great family last year to sell their home (downsizing) and began searching for a new home while they rented. Recently we found their dream property (after looking for several months). 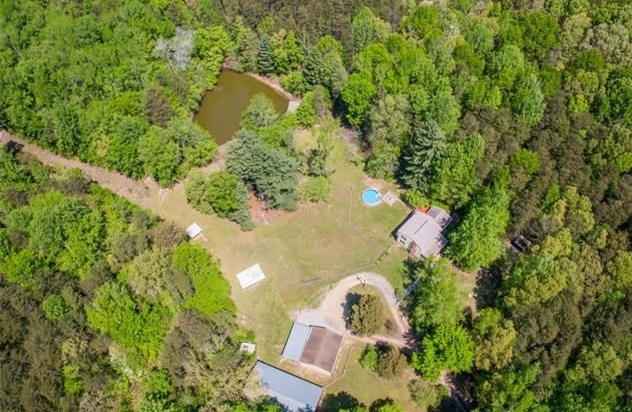 The two garage/barns, pond, fenced pasture, garden spots and cool home on 14+/- acres meets their needs! Thanks for putting up with us the last 6 months while we searched… and searched…. and searched for a home. You were so patient and never once tried to talk us into something just to get the sale. I will continue to recommend you to anyone looking to buy or sell a home. I hope to never use your services again… but if we do decide to sell, I will definitely call you. If you looking to buyer or sell a home, farm or land or just have, questions, let’s talk! I am here to help. This entry was posted in About James Friend Dickerson, Central Virginia, Country Living, Farms, Testimonials. Bookmark the permalink.